How can a 20W-50 be used in my transmission requiring a 75W-90? The answer is simple if you have a chart to reference by. 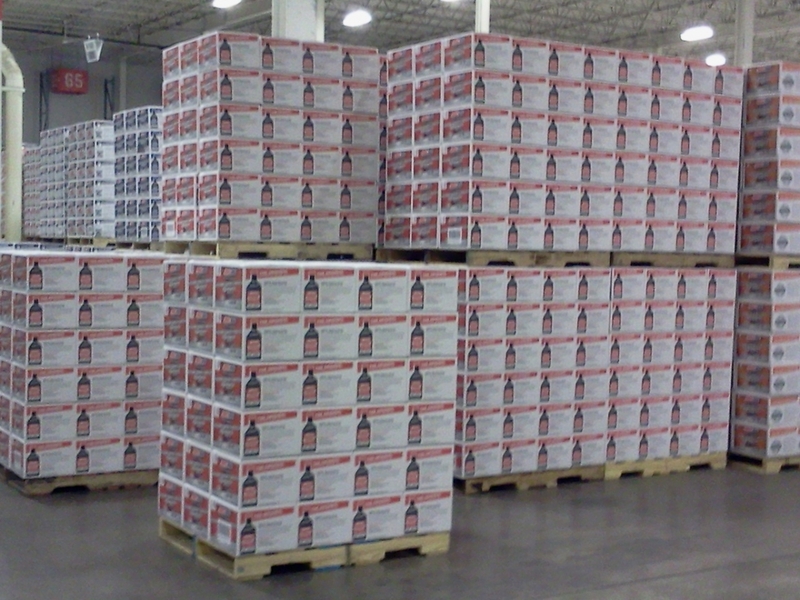 The viscosity for engine oils and gear oils are not part of the same scale. 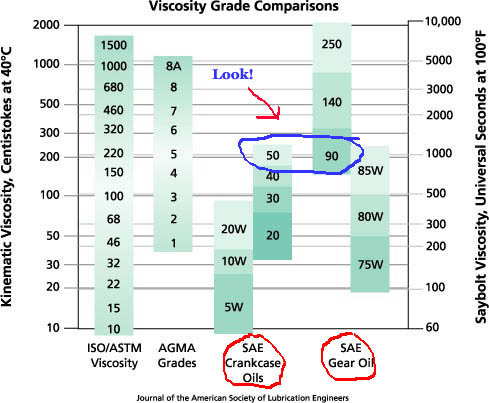 In fact a SAE 90 gear oil may actually have less viscosity than a SAE50 (20W50). The illustration clearly explains why. Now you know something most mechanics don’t know. See why motor oils sometimes work as transmission or gear case lubes. Note that when these charts were published when the 75W-110 category was not yet popular. A 110 make up that 1/3 section at the top of a 90WT and the lower part of the 140WT. 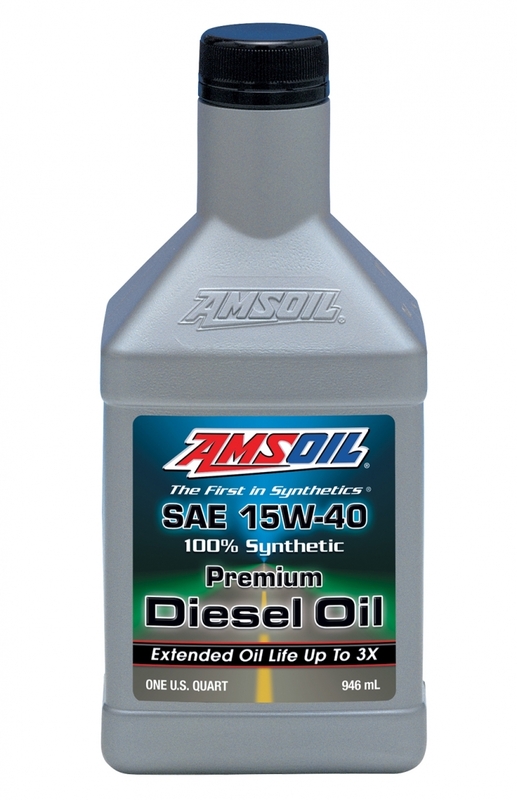 The AMSOIL 20W-50 will remain a 50WT engine oil through it’s recommended interval. Many other motorcycle oils have been tested to not follow this same path. They either fail after 1/2 their life or start at the low end of the category so are less likely to hold the needed viscosity. 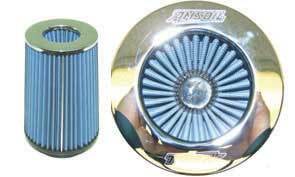 The higher the viscosity the more it costs the manufacturer so less $ to stock holders and AMSOIL has no stockholders to cheapen the formula!! 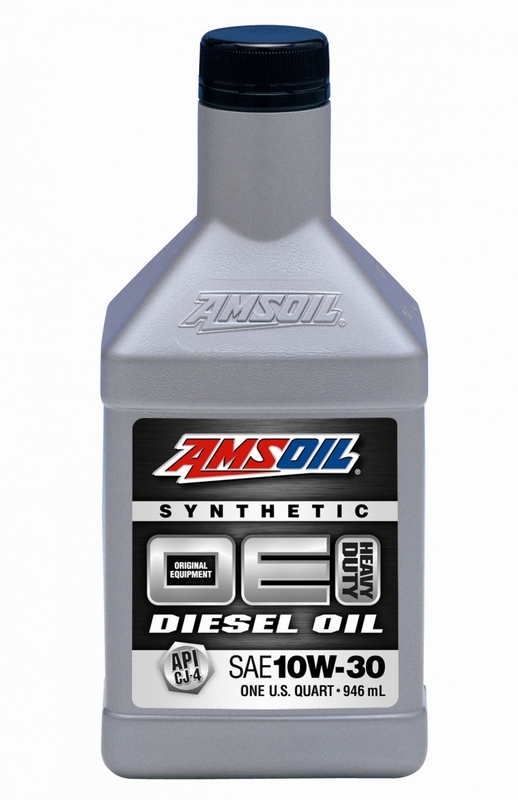 The new AMSOIL V-Twin Transmission fluid is right in the heart of the 75W-110 zone so use that product to really smooth out your transmission if you have gear clatter. Also note that if you take a bottle of each 75W-90 and 20W-50 you will notice they don’t flow the same – that’s because of their “W” or winter category. They will however when the temperature reaches the 100F as noted on the chart. 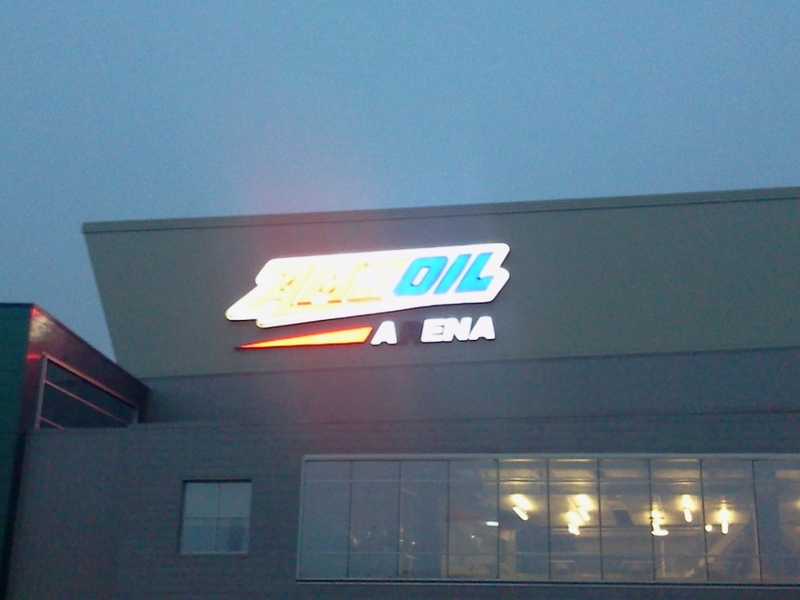 Here’s an updated clipping of the SAE Gear Oil segment to make better sense of the above. 75W-110 takes the old junction of the 90/140 split.